- Ah, sweet romance, where beauty blooms despite the thorns! 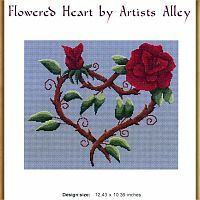 A pair of blood red roses have twined themselves into an enchanting heart to deliver a message of love and affection. 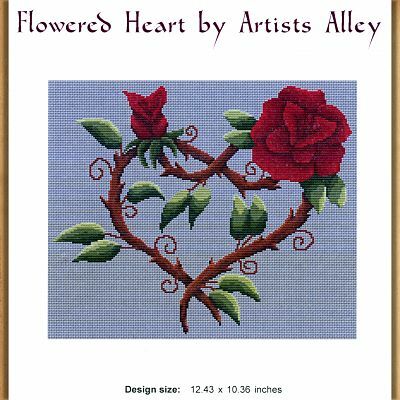 This pattern measures 174 stitches wide by 145 stitches wide. This is a pattern for counted cross stitch. It is not a complete kit. You must provide your own fabric and floss. 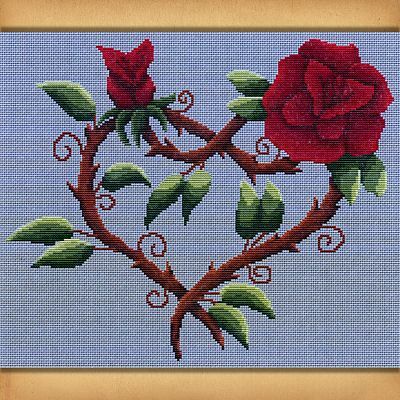 Do you have any other questions about our Flowered Heart Cross Stitch Pattern?